This is the perfect wrap for those who already love(d) the Fidella all cotton wraps, but wish for some more support or just want to give a hemp blend a try this summer. It's suitable for both 'newbie' and experienced wrappers and doesn't need a lot of breaking in. It will get even softer with wearing, but is already soft from the bag (compared to other hemp blends)! The width makes it a great 'big kid' wrap, it's airy and nice for hot and humid weather. 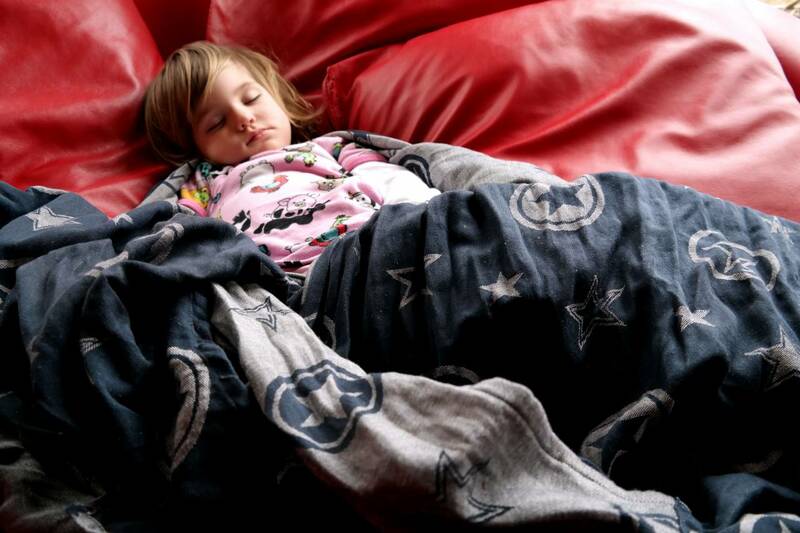 Fidella is a German brand, the people behind Fidella are also the producers of the Nonomo baby hammock. The wraps are produced in Turkey, woven with organic cotton and they are now trying out new blends, like linen or hemp. 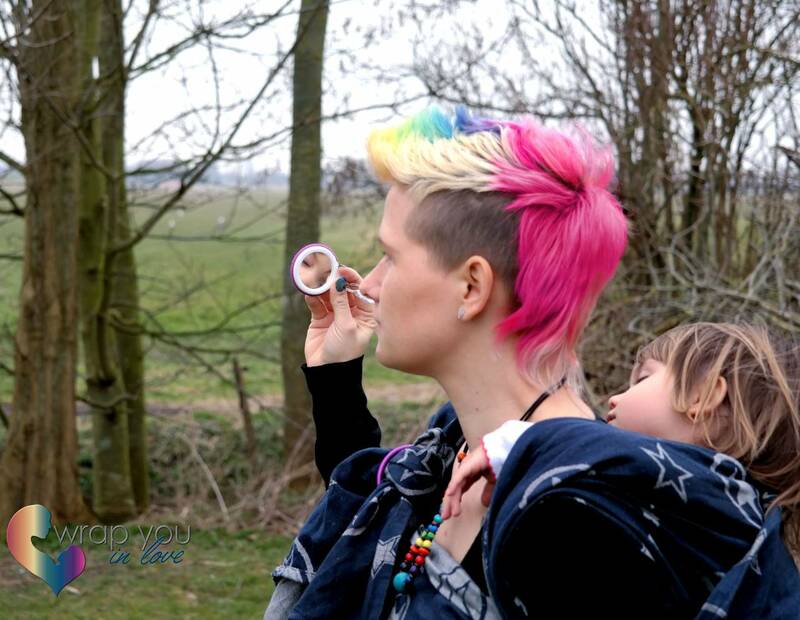 Fidella seems to reach out to the babywearing dads with colourways and designs with a more unisex or manly appeal. 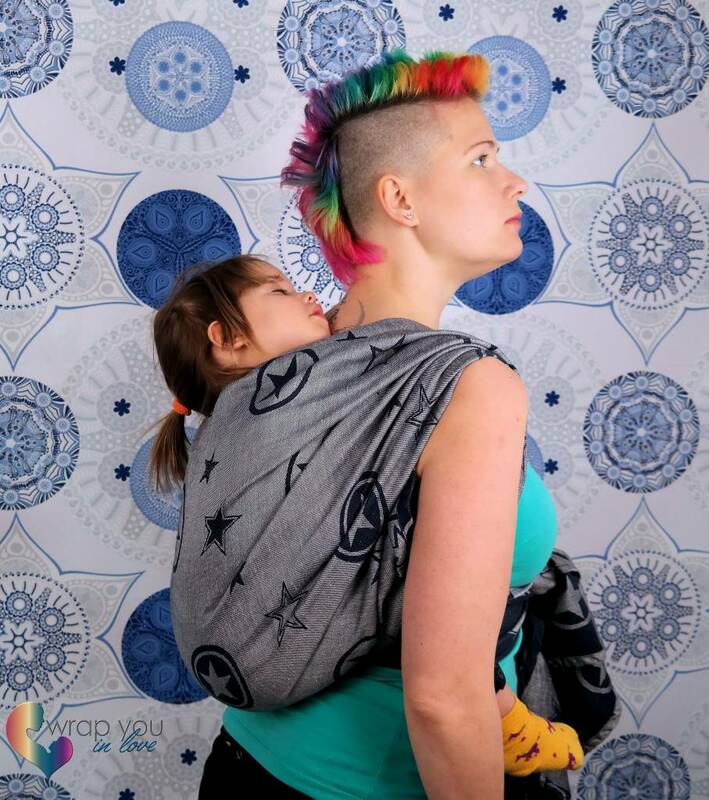 Of course a guy can wear pink, but I’ve seen a couple of babywearing dads who love the ‘rock n rolla’ or ‘outer space’ design and I truly think they were made for them! Fidella also has some more feminine designs, wraps with hearts or a very elegant paisley design. I’ve tested the all cotton Outer Space Blue last year and still love it. It’s such a nice all cotton wrap, great to use for tutorials because it wraps so easily! All Fidella wraps are (very) wide, approx. 80 cm, which is perfect for bigger kids. The step to ‘toddler’ blends is a great decision, especially with the summer coming up some linen or hemp is a nice addition to your stash. Hemp is about 2-3 times more absorbent than cotton, this means it feel dryer in hot/humid weather longer (if compared to an all cotton wrap). The downside of hemp (and linen) mostly is the fact that it needs (a lot of) breaking in, it can be stiff and beastly. Not this one, this wrap was already soft straight from the bag. The weave is compact, I would say it’s on the thinner side of medium, just like the all cotton Fidellas, but very supportive! Due to the nature of the fiber hemp might show irregularities in thickness. If you look closely at the wrap you will notice the irregularities, these typical structures are characteristic for hemp blends and don’t affect the safety of the wrap. The top rail is sewn in the other direction as the bottom rail, this way the wrap has no distinctive ‘wrong’ or ‘right’ side and it’s easier to tell the rails apart. It’s a nice detail and really handy for parents who are new to woven wraps. 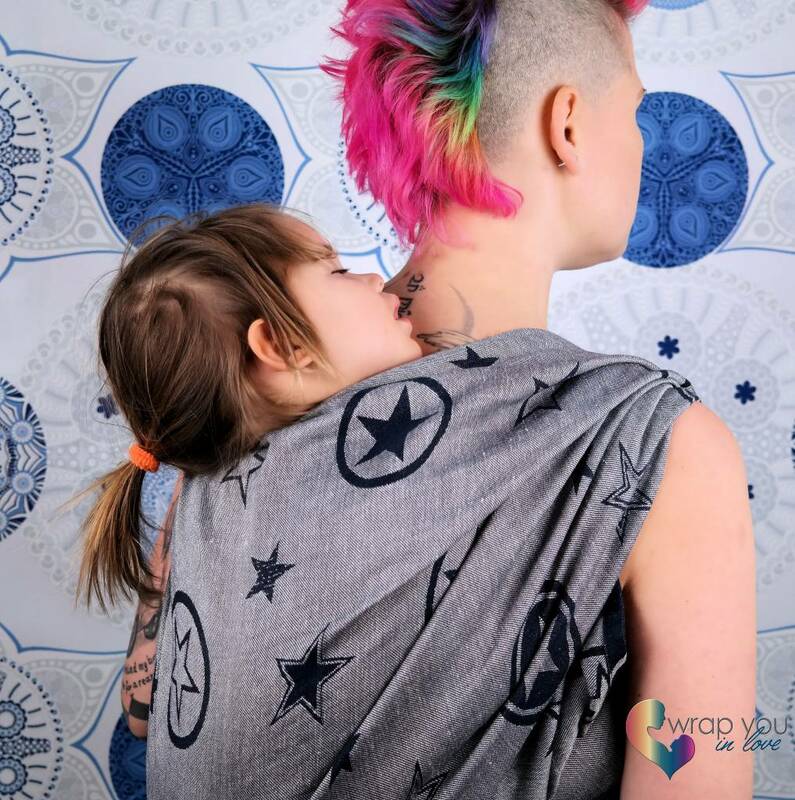 If you’re already familiar with Fidella wraps, but want more support for single layer carries with your toddler, this is what you were looking for! I think it will make a great shorty, especially for slipknot carries. It has a nice grip, but it’s not hard to wrap with as it’s already smooth and soft from the start. This wrap definitely shows that the surface weight can be very deceiving, it’s very light but that doesn’t mean it’s not ”toddlerworthy” or supportive! It’s suitable for both your newborn and your heavy toddler, even in a single layer carry. The width of the fabric could be a bit overwhelming with a tiny baby, but it’s not thick and it’s mouldable and easy to wrap with. It’s not the cushiest wrap ever, but it didn’t dig in my shoulders and is pretty forgiving. I could almost say it has the feel of cotton, with the support of hemp. Nice! The silver coloured side is a bit more grippy, where the dark side is buttery soft already just like my all cotton Outer Space. It’s suitable for both ‘newbie’ and experienced wrappers and doesn’t need a lot of breaking in. It will get even softer with wearing, but is already soft from the bag (compared to other hemp blends)! The width makes it a great ‘big kid’ wrap, it’s airy and nice for hot and humid weather. Fidella releases new designs or colourways every now and then, just keep an eye on their Facebook page. They are starting the hemp/linen releases with a Shebra release, this exact colourway will be released too but not very soon. You can buy Fidella wraps at their webshop.